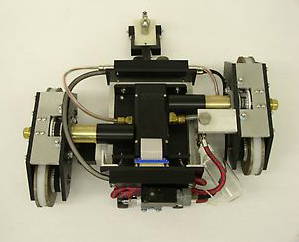 The Viper Crawler system is a robotic crawler system designed to be used alongside other TesTex technology. The crawler is commonly used for measuring shell thicknesses on storage tanks without the need to use scaffolding or rope access. The Viper Crawler is great for accessing hard to reach areas and can inspect within 100ft of the inspection technicians operating it. The system is controlled via an operator with a joystick, and attaches to carbon steel and other ferrous assets via magnetic wheels.